The District of Columbia Health Benefits Exchange has announced the insurance providers for the new Healthcare Exchange which begins January 2014. 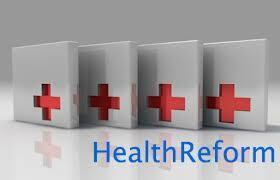 Each of the providers must offer the ObamaCare essential benefits which include free preventive care. The plans offered are the new “metal” plans known as the Bronze Plan, Silver Plan, Gold Plan, and Platinum Plan. For further questions about providers in your state call 800-980-7956 or contact Medicoverage.